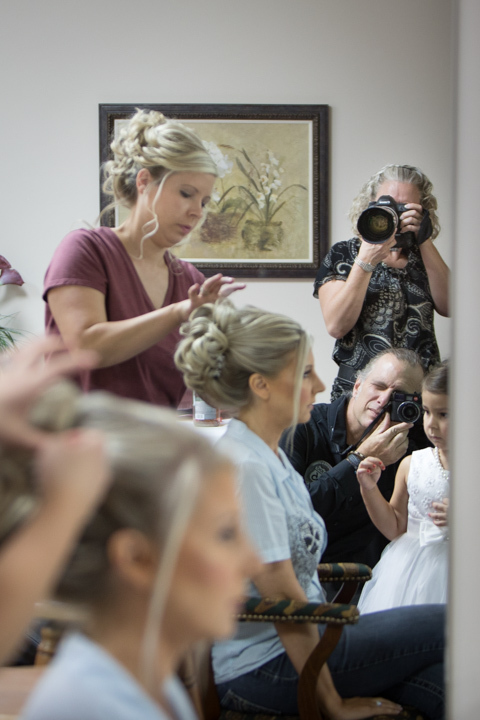 Mark Bealer and Vickie Daniels are co-owners of Studio 66 LLC, a Cincinnati-based wedding and commercial photography business. 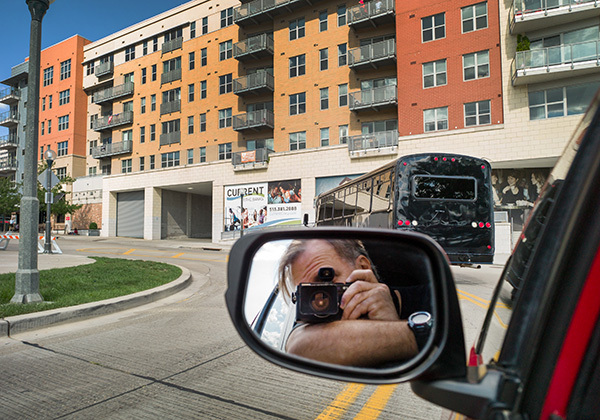 Their photo studio and meeting space is located in the Reading Bridal District in Cincinnati, Ohio. 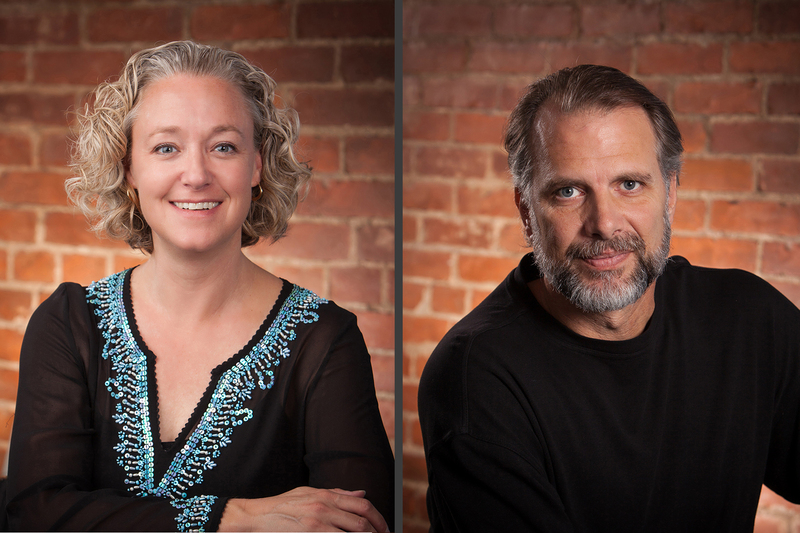 Vickie’s background is in Weddings and Portrait photography, while Mark is primarily Architectural & Corporate photography. Each takes a lead role in their respective genre, while assisting and second shooting along with the other. It’s a unique fusion of the photography arts and styles as the market demands that photographers take on diverse photography assignments. Together, they also started the Cincinnati Chapter of the Cleveland based non-profit named Flashes of Hope. It’s an organization, which puts professional portraits in the hands of families of children who suffer from Cancer. They enjoy a variety of outdoor activities from canoeing and hiking in the NC Mountains to walking on the beach in the Mountains to Sea state! At times finding inspiration in the solitude of the photographic process and personal work, which occasionally leads to Stock Photography sales. Vickie brings her view to Studio 66 wedding photography! Being a boutique studio means that to us you are not just another bride, you bring your own set of ideas and that means a lot to Vickie, co-owner of Studio 66. The two are also the photographers you will have on your Wedding Day, so you don’t have to worry about getting a “team” you haven’t met. Vickie will help you work out your timeline for the day, photograph your Engagement Session and help you finalize the photos that you choose for your Wedding Album. However, with this kind of value it means these two are in demand and could even already be booked on your Wedding Day so don't hesitate to call. After your wedding we head straight to our computers to download our files, we back them up and begin toning right away. We pledge to get them toned and print ready and placed in your online gallery in 2-3 weeks, says Vickie. Furthermore, read our reviews, seriously! Actual brides and grooms talk about their own photography experiences with us. We receive either hand-written postmarked cards or love notes written as online reviews on our Knot profiles or website! Shopping for a wedding photographer? Your wedding photography is an investment that you will be proud of, and the images will pass through generations of your family. Your wedding is unique, beautiful and Studio 66 is stylish, exclusive and created for you! Studio 66 is where the memories of your journey will never fade. Most people agree that the number one most important item to do right in your wedding is to choose the right vendors. Not necessarily the most expensive, and not just because your friend used that vendor. Choose the one that is specifically right for you, which means that when booking you will want to spend a little time with each vendor in their office or at the least on the phone to get to know them. The wedding photographer you choose is probably the most important choice you will make, other than the venue. The photographer will help you coordinate so many of the activities that you will be involved in during the day, and the photographs will be one of the only things you get to take home after the wedding, besides your new spouse, of course! Shopping for a wedding photographer? Your wedding photography is an investment that you will be proud of and will pass through generations. Studio 66 is where the memories of your journey will never fade!